The new 2017 Range Rover Sport is now available at Land Rover Colorado Springs! This distinctively-designed luxury SUV can come in six different trim levels and can seat up to seven! The trims available range from SE (MSRP $65,650) to the Supercharged (MSRP $80,650), and finally to the SVR (MSRP $111,350). These trim levels are either equipped with a 3.0L Si6 or a 3.0L Td6 engine. All are equipped with a standard 8-speed automatic transmission. The 3.0L Si6 engine gets an estimated 17 MPG city/23 MPG highway. The 3.0L Td6 engine gets an impressive estimated 22 MPG city/28 MPG highway. These trim levels have great options available, including advanced safety and entertainment features. Some of these features include hill descent control, Meridian Audio System™, InControl Touch Pro™, head-up display, powered gesture tailgate, blind spot monitor, lane keep assist, park assist, and many more. 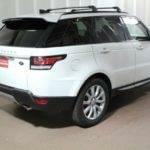 These features and many more create a performance SUV to please any needs or wants. 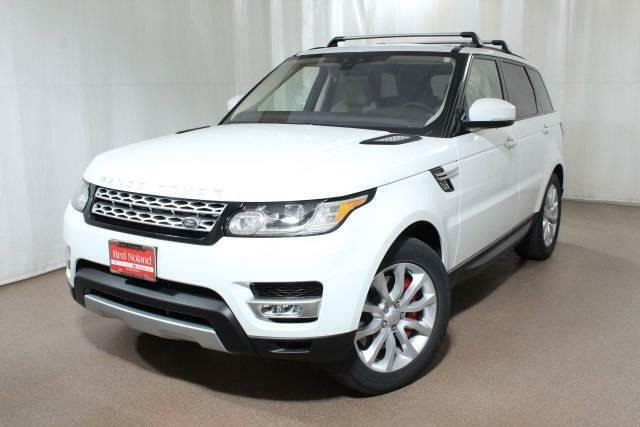 Land Rover Colorado Springs has a super selection of the 2017 Range Rover Sport. Visit Land Rover Colorado Springs in Motor City today to take a test drive, explore the many features, and find out about the great deals currently available.